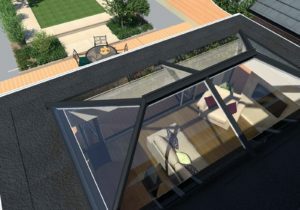 Our conservatory roofs utilise modern standards to achieve a sleek, stylish and contemporary design across the board. 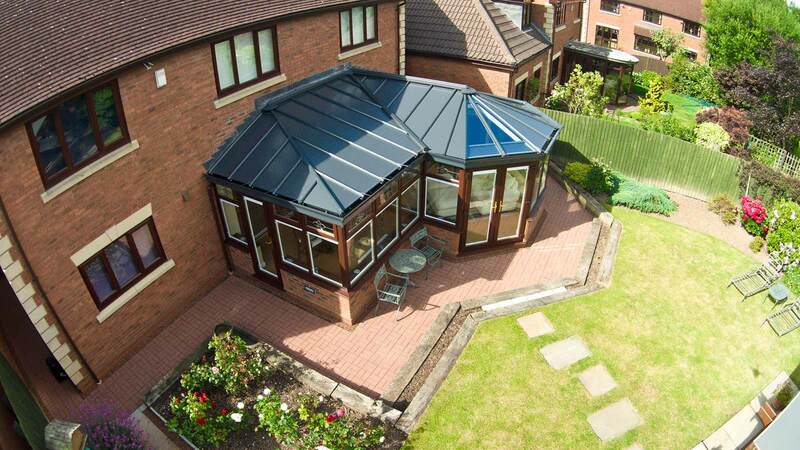 Utilising experience, professionalism and modern innovations, our conservatory roofs excel in enhancing your home. 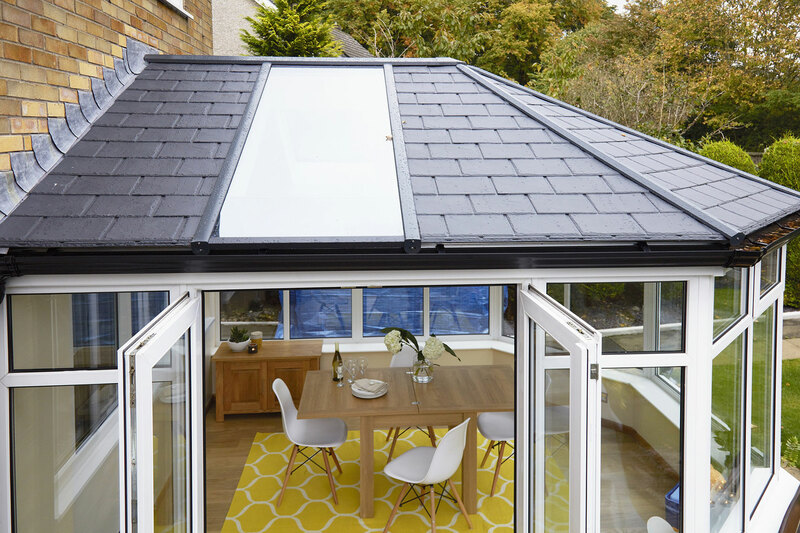 Featuring the outstanding design from Ultraframe, all of our conservatory roofs are BBA accredited, with kitemarks from BSI and CE. Conservatory roofs are an exceptional way to ensure the performance of a new conservatory or enhance the performance of your current conservatory. By using the innovative designs from Ultraframe, our range of conservatory roofs simply offer you more for your money. 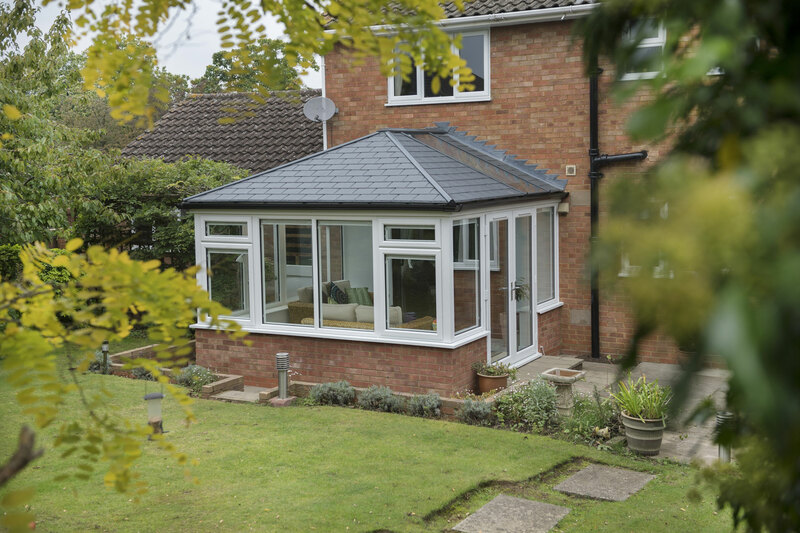 Our conservatory roofs are expertly designed to ensure you enjoy your conservatory in comfort and peace, with remarkable standards of thermal efficiency, weatherproofing and security throughout the whole design. 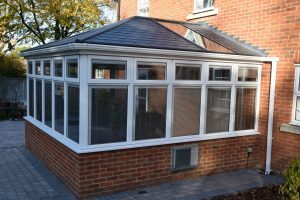 These conservatory roofs have been manufactured for easy installation, which makes them perfect for a replacement conservatory roof option. 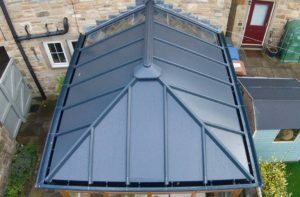 Our team of professional conservatory roof fitters will be able to install a new roof with minimal disruption to your daily life. No matter if your home is period, heritage, traditional or modern, our conservatory roofs are sure to be a perfect fit. They can effortlessly complement the aesthetic of your home, proving to be a wonderful addition for you to enjoy. 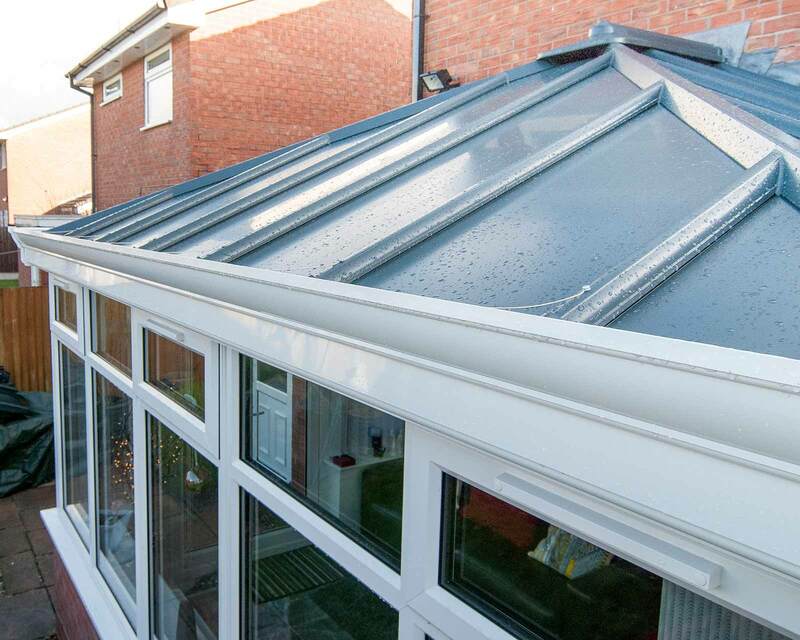 The standard of thermal efficiency that our conservatory roofs achieve allows you to enjoy a multitude of benefits. The roof design captures pockets of warm air and keeps them in your home, allowing you to use your heating less and save money as a result. To ensure our conservatory roofs are a worthwhile investment for your home, they are accompanied with a minimum 25 year lifespan. This means that they promise to provide quality and satisfaction over an extensive period of time. The Livinroof from Ultraframe enables you to create a comfortable area that’s an extension of your home and suitable to use throughout the year, whatever the weather. 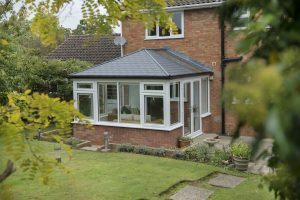 This innovative solid roof system works equally well for changing conservatory roof or a new extension. Enjoy the feeling of privacy while still enjoying additional natural sunlight from above with the flexibility of having glass in any areas of the roof that you wish. The Livinroof consists of aluminium or insulated composite external panels and insulation. The glass panels can be inserted instead to allow you to have complete design freedom to achieve the balance of warmth and light that best suits your needs. The interior finish offers the feel of any other room in your home, removing the feeling that the conservatory is an add-on to your home. This versatile roofing system can be installed with lights, giving you more options than a vaulted or suspended ceiling. Transform your home in Clacton with a stunning solid replacement conservatory roof. We also offer the UltraRoof380 tiled conservatory roof from Ultraframe. This conservatory roof captures a beautifully traditional tiled aesthetic whilst still achieving modern standards of quality and performance. This extremely thermally efficient, Building Regulations approved conservatory roof can be installed with multiple glass panels or even Velux windows to help natural light flood into your living space. We offer bespoke designs to ensure you can easily find the perfect one for you. 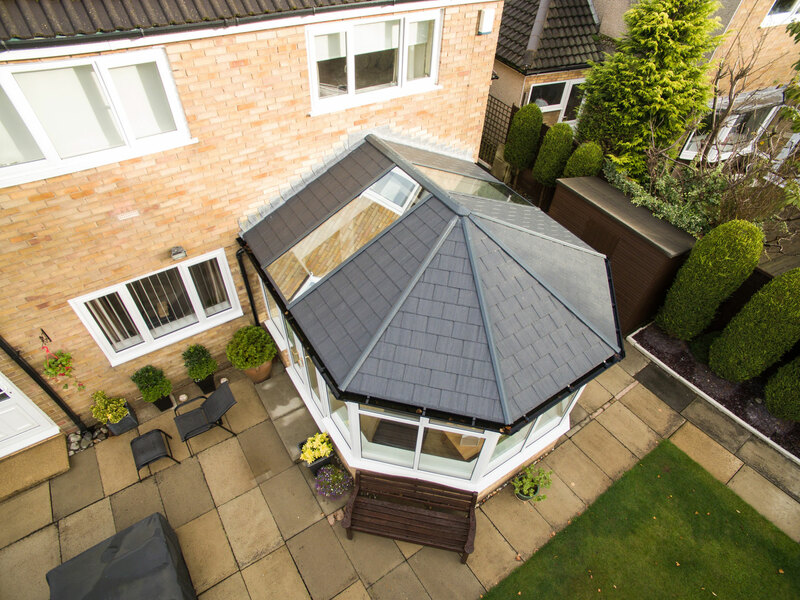 Offering a range of colours throughout the design, these conservatory roofs promise to complement the aesthetic of your home perfectly. You can choose from three different tile colours, ‘Carbon Grey’, ‘Harvest Brown’ and ‘Terra Brick’, as well as range of colours for the external fascia boards, including ‘White’, ‘Black’, ‘Rosewood’ and ‘Oak’. Use our online quoting engine to get a free and highly competitive instant conservatory quote. You’ll be able to tailor your quote to your budget to ensure you get the perfect style for you quickly and easily. Alternatively, our online contact form will allow you to speak to a member of our team. We’ll be more than happy to answer any questions you may have in regards to our products, prices or services.